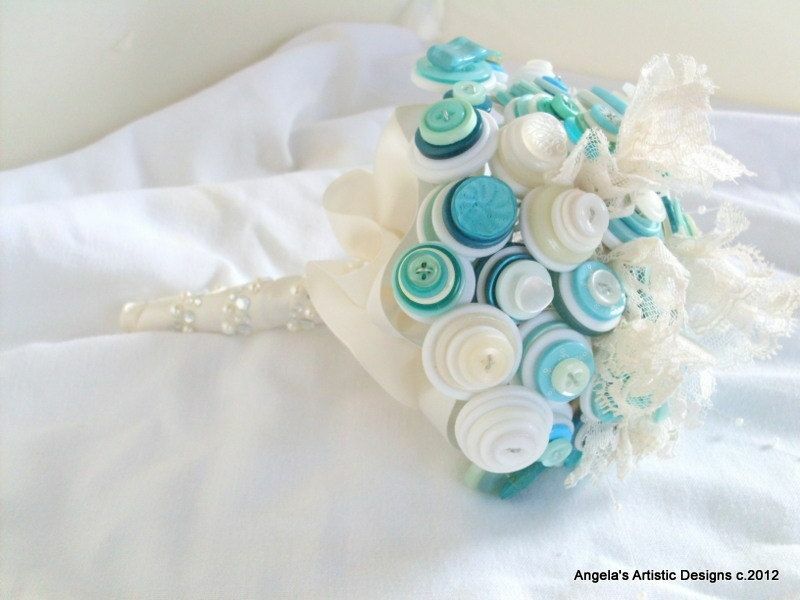 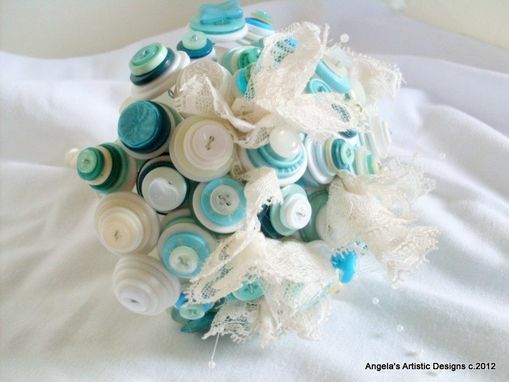 Bouquets made out of elegant buttons are a great alternative for flowers during weddings. 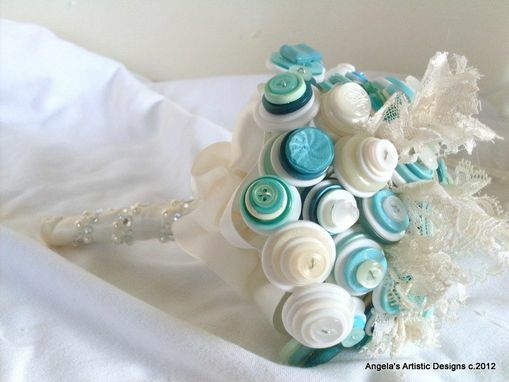 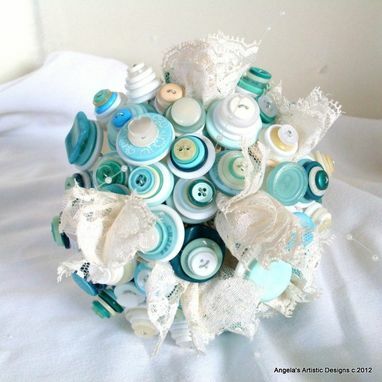 Here's a terrific teal blue 30-stem arrangement with a gorgeous accent of cream-colored buttons. 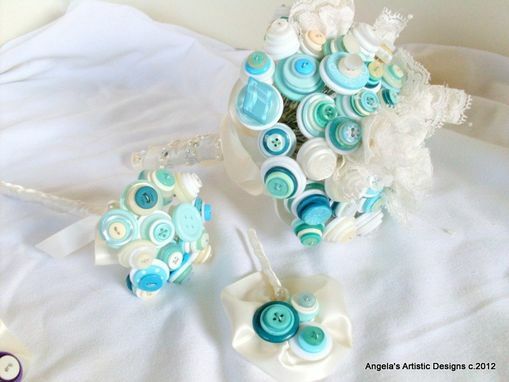 To add more sophistication, I also used satin ribbons, pretty pearls, and riveting rhinestones. Larger bouquets are also available: 50 stems for $110 and 60 stems for $140.